I hate public bathrooms, and the smaller they are, the worse they are. I suppose no one likes public bathrooms. For example, at our local Starbucks (okay, we have three), there are two bathrooms. Both are unisex bathrooms with one toilet, one sink, a baby changing station, a towel dispenser, and a fancy Dyson hand dryer. Sometimes you go into the bathroom and a woman has been in there and it smells of her perfume. This is not all together unpleasant. But sometimes you go in and it smells like a porta-potty three days past its service date. 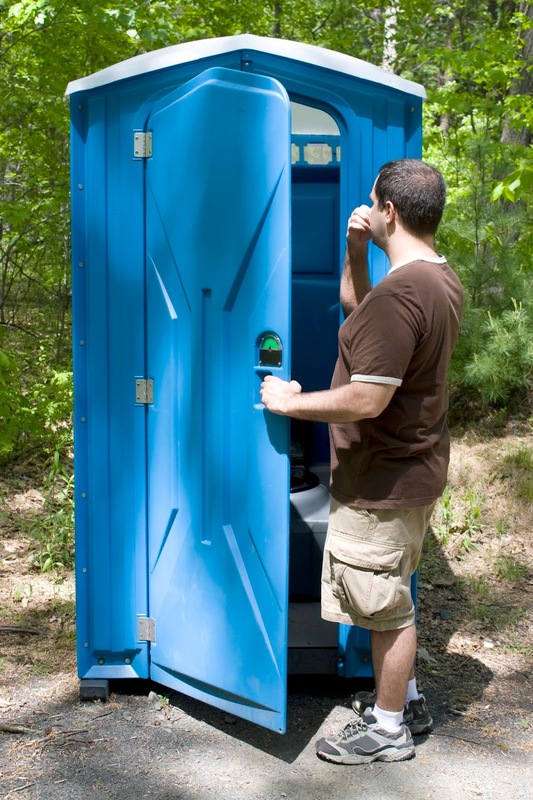 Speaking of porta-potties, they are about the worst. They smell, they're small, and my biggest fear is dropping something down them such as my phone or wallet. When I went to see the eclipse in August 2017, the organizers didn't have enough porta-potties (they needed about three times as many) and by the end of the day, they were literally overflowing. Airplane bathrooms are just often too damn small. One a plane trip I took in January, I was hitting my head on the curve of the fuselage. Not fun. The other problem with public bathrooms is cleanliness. Now, admittedly, for some reason, this has improved over my lifetime. When I was a kid, you assumed a public bathroom would be filthy and only used one if you were desperate. Now it's rare to find one that's very dirty. But you still have to deal with toilet paper on the floor or an unclean toilet. Of course, I've used outhouses. Yes, wooden outhouses that people had instead of indoor plumbing. So my idea of "clean" might be off. The final thing I hate about public toilets is when people don't flush. Why? Is it some misguided attempt to save water? I don't want to see, let alone smell, your crap. If I wanted to do that, I'd go to a porta-potty. Hey now Mr. Townsend, don't hate on porta potties. While nothing is worse than overflowing flushless bathrooms, it was great viewing that eclipse. Maybe we passed by each other on the way in, or out of the crap we got into. If you were in that alfalfa field in Madras, OR., that's certainly possible.